Anton Kreisl was born April 27, 1886 in St. Michael, Austria. At a young age he mentored to become a veterinarian so he could seek employment as a butcher. There was no inspection in the early 1900’s therefore the butcher (meat cutter) had to do the inspections so customers would have wholesome meat to consume. He met and married Rose Borzaga from the Innsbruck area. 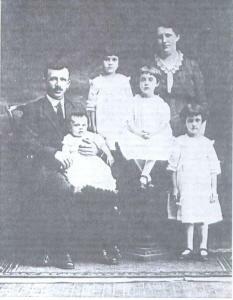 When they had their first child, Rosa, in 1912 they decided to move and start a new life in America. The Titanic had just sunk in April of 1912. Only two months later Anton and Rose placed everything they had in the world in a large steamer trunk and boarded the red star line ship, the Zeeland, leaving from Antwerp Belgium and headed for New York City USA. On June 26, 1912 they landed at Ellis Island. Anton was now 26 years old, Rose was 21, and Rosa was only several months old. They came to Hazleton Pennsylvania, which has the first and oldest Tyrolean church in the USA. There was a large population of Austrian (Tyrolean) people there. The original homestead was on Cedar street. They were sponsored by Mr. Benjamin, a merchant from Hazleton and Mr. Justofin, a miner from Crystal Ridge. With their help they became American citizens. Anton was able to purchase property at 322 South Wyoming Street and put up a small garage where he started his custom butchering business in 1915. By the 1920’s Anton and Rose had three sons and several daughters. The sons worked and learned from their father. As time went by Henry went to work in Baltimore, Maryland for Swift Company and learned the new techniques of hog slaughter. He brought that knowledge, along with artery curing of hams back to his father and brothers William and Fred. 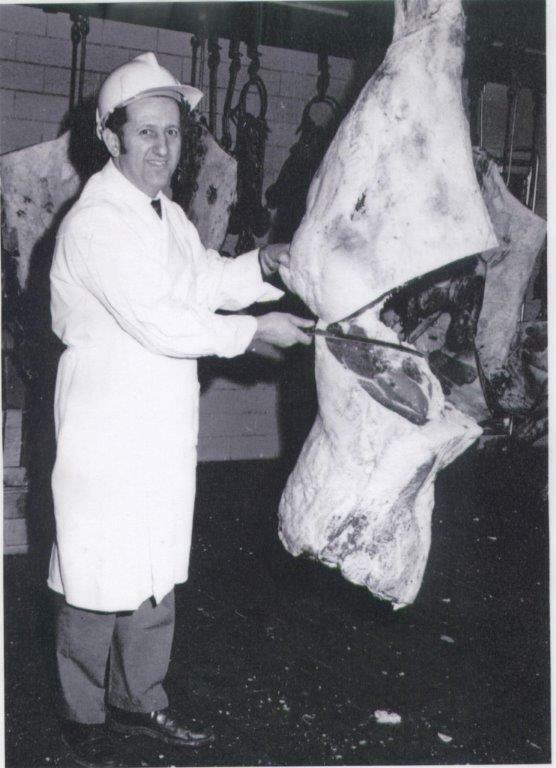 The business expanded in the 1940’s with a new addition to the building that included a processing kitchen, hog abattoir and a retail market. In the late 1950’s a second plant was added in Shamokin Pa. called Strawberry Brand. William stayed in Hazleton and Henry and his family took over the Strawberry Brand plant. Strawberry Brand grew to be one of the top 200 meat plants in the U.S.. 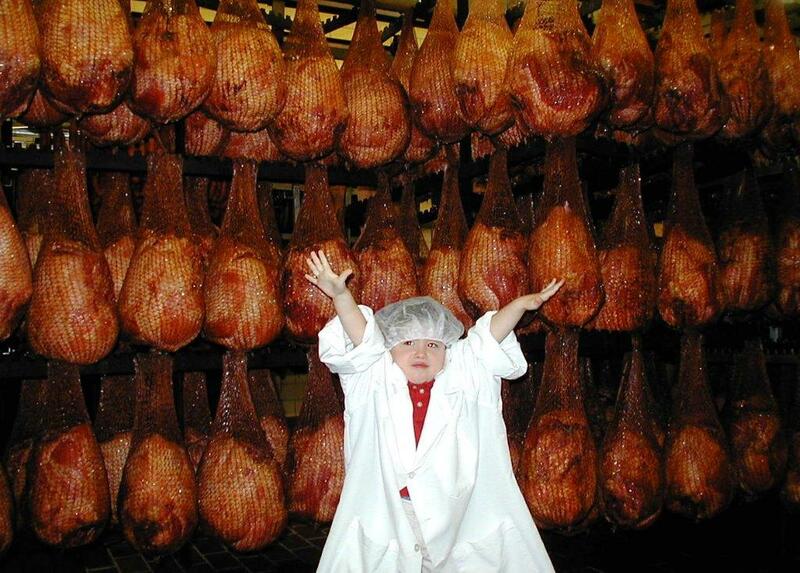 It included slaughtering of pork and beef, manufacturing of hams, hot dogs and lunchmeats plus a very large ice plant and rendering department. Strawberry Brand later merged with Chief Brand meats, also from the Shamokin area. Henry’s family decided to move back to the Hazleton area and build a new plant on property that once had been an amusement park named Hazle Park. Hazle Park Packing Co. was opened in 1964 and incorporated in 1965. 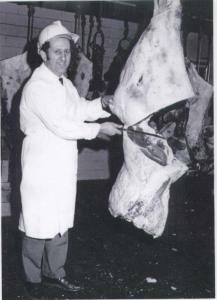 Hazle Park Quality Meats was opened in 1972 and handled sales to the public. The main plant went through a major expansion in the early 1990’s which doubled its size. Through the years the original formulations have been kept and only small changes have been made to accommodate the new USDA regulations. Both Hazle Park and the original location on South Wyoming Street are still in operation and owned by members of the Kreisl family, along with retail markets, a freezer, and other businesses that add to the support of the food business.